Cardi B isn’t the only one benefiting from “Bodak Yellow” hitting No. 1 — her dentist is also balling out since getting a shout-out in the lyrics. Dr. Catrise Austin‘s famous clientele include DJ Khaled, Common, Toni Braxton, Omarosa and Busta Rhymes, but she tells TMZ … her biz has tripled since ‘Bodak’ was released. Those who’ve been following Cardi since ‘Love & Hip-Hop’ know she got a serious dental fix-up last year. 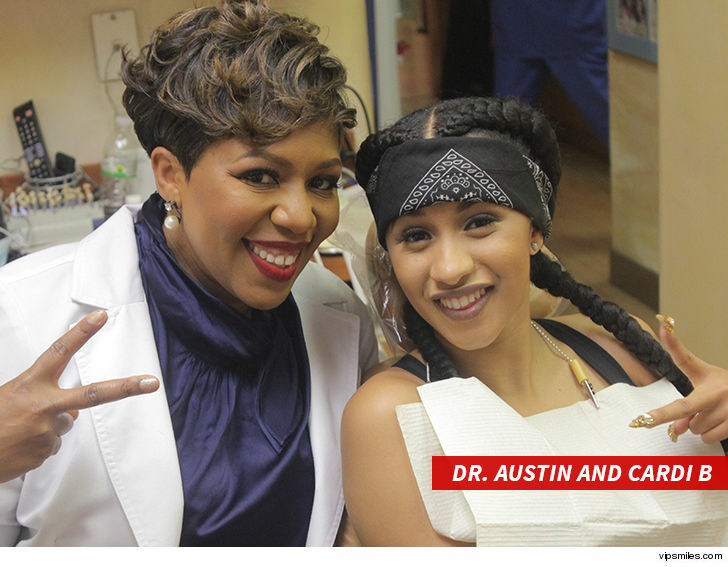 As she raps … “Got a bag and fixed my teeth / Hope you hoes know it ain’t cheap.” It’s not just a good rhyme, Dr. Austin says Cardi’s porcelain veneers cost as much as a luxury SUV. Now that the song is on top, Doc’s phone’s blowing up — which means Cardi’s not the only one making money move.